When it comes to mirrorless cameras, Canon has long been in the race with one foot constantly on the brake. There was no flagship model, a very limited selection of lenses, and probably a lack of motivation on Canon’s side to really make an impression on the mirrorless-market. Since the introduction of the EOS M5 however, these notions seemed to have been overcome. 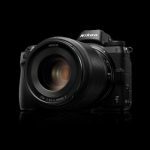 The camera is a worthy opponent to the it’s rivals by Sony, Fuji, and co.
Apart from the M5, Canon are also offering the smaller M10, and the hybrid M3 and EOS M6. I have tested all the cameras, and I will tell you, which one is the right for you. Shutter speeds 30 – 1/4000 Sec. 30 – 1/4000 Sec. 30 – 1/4000 Sec. 30 – 1/4000 Sec. The EOS M10 with the 22mm Pancake lens is barely larger than a point-and-shoot [Canon EOS M5 – ISO 6400 – 34 mm – f/5.0 – 1/60 Sek.]. While testing the M10 for the first time I was somewhat disappointed. Its size made it feel like a toy, and also meant it wasn’t all that ergonomic, and doesn’t offer a lot of buttons and dials. The size however, is also its biggest advantage as, along with the Sony a5000/a6000, it is the smallest interchangeable lens APS-C camera that I know of. Even when paired with its kit lens it still fits comfortably in my jacket pockets. The price is unbeatable as well. There’s no cheaper entry into the mirrorless world at this point in time than the M10. Still, I find that the size and somewhat messy menu system make it less suited for beginners. 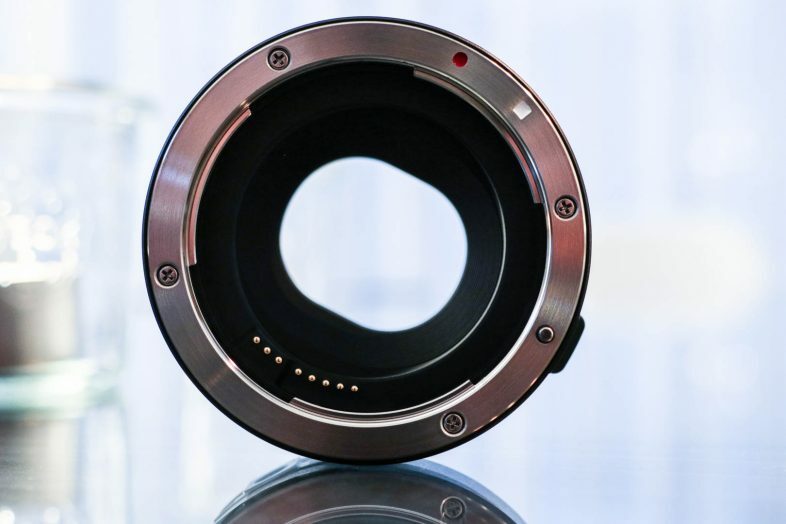 If you plan on using it as your second or backup camera alongside a bigger EOS, you will be able to use all of your EF lenses with the optional adaptor. That’s definitely a plus! While, when paired with the EF-M 22mm Pancake lens, the camera looks like it belongs in the point-and-shoot category, I still would prefer the Canon G7X Mark II over it. Unlike Canon, Sony were more aggressive with their a5100. In its small body the a5100 (Price on Amazon) houses the internals of the renowned a6000 (Price on Amazon). However, the a5100 also omits a lot of physical controls. The disadvantage: It is much more expensive than the EOS M10. While there a a5000 available at a bargain (Price on Amazon), I wouldn’t recommend those since they lack the phase-detection autofocus. You’d be much better off with an EOS M10 (Price on Amazon) in that case. In some ways, the EOS M3 is what the M10 should have been. While it’s bigger and heavier, it has all those physical controls that the smaller one should have had. 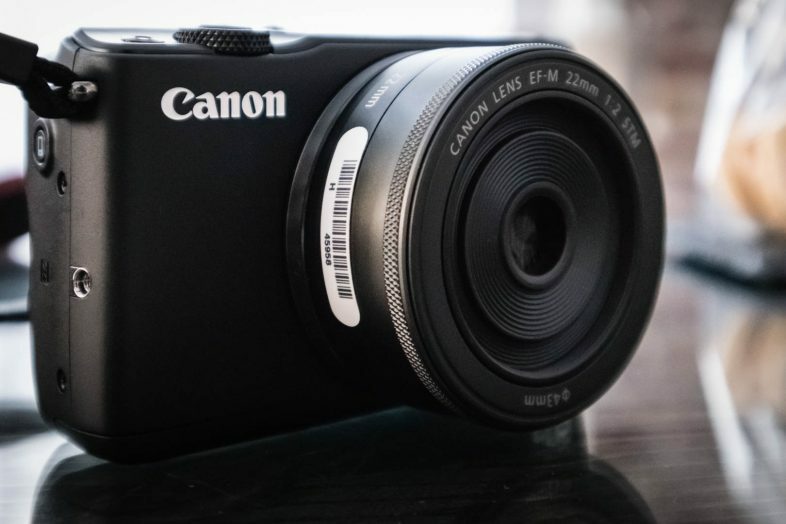 The Canon EOS M3 is better than the M10 in every respect. The sensor captures higher resolution photos, the display can be adjusted more easily, and the camera can be set up in more ways than before. Beginners are encouraged to use other functions besides the automatic mode, and professionals can quickly change the settings. Compared to the M5, the M3 looks more like a toy. It is smaller, has no viewfinder, is slower, focuses less reliably, and has considerably fewer buttons and dials. Nonetheless, the M3 has it’s right to exist. As mentioned before, the M3 is what the M10 should have been. The M3 caters to those features that the M10 should’ve been better at and also happens to be much cheaper than the M6. … small and cheap travel shooter or backup camera when traveling with a big EOS. The only competition in the M3’s price range I can think of is Sony’s Alpha 6000 (Price on Amazon). This one also has an APS-C sensor and lets you swap lenses. In addition to that, The A6000 comes with an integrated viewfinder, faster autofocus and higher burst-rates. You can’t however tilt the screen upwards by 180°(no selfie-mode), and a touchscreen is also nowhere to be found. 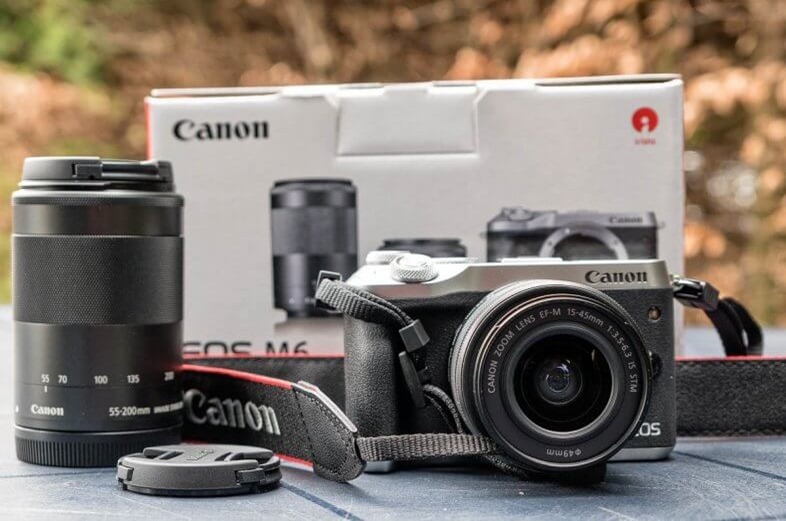 Within Canon’s product range the M6 is the M3’s biggest rival. Apart from the lower price I really see no reason to go with the M3 since the M6 does everything as good or better than the EOS M3. If you can’t live without a viewfinder you can mount Canon’s EVF-DC1 or the EVF-DC2 on the hot-shoe of the M3 and M6. This accessory is a good (but expensive) addition to your rig and has keeps it small while still getting a viewfinder. The Canon EOS M6 (Check Price on Amazon) shares its insides with the flagship EOS M5 meaning you can shoot photos at the same quality. The main differences to the M5 are its smaller body and the missing viewfinder. The M6 thus is sort of a mixture of the M3 and M5 and, as far as I’m concerned, the best camera of the entire EOS M product range. you’d like to have an M5 but don’t need a viewfinder. the M5 is too big for you. you’re not quite content with your M3.The EOS M6 makes a great second camera but can also be a terrific main shooter. Apart from Canon’s own M3 and the bigger M5, the a6000 and a6300 (Check Price on Amazon) by Sony immediately come to mind. Both can keep up with the M6 and both have a viewfinder. However, they don’t have touchscreens and the screen that there is doesn’t tilt 180°upwards. 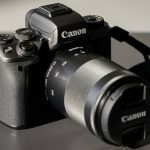 A first look at the Canon EOS M5 (Check Price on Amazon) makes it clear that we are dealing with Canon’s flagship mirrorless camera. This camera does everything better than the M3 and, its main advantage over the M6, features an integrated viewfinder and higher-resolution display. The only drawback: It’s bigger and heavier. … Customizable dials and buttons. … Better responsiveness and better build quality. … One of Canon’s best sensors (straight from the 80D). The M5 is the only mirrorless camera that I would recommend not only as a secondary camera, but as your main, daily shooter. It is smaller and lighter than its great brother, the 80D, and doesn’t need to hide behind it in any way. At the same time, the 80D is great to hold in your hands and easy to use. Almost perfect! If I were thinking about getting an EOS M series camera, it would definitely be the M5. If you’re looking for a mirrorless camera with an APS-C sensor, swappable lenses, viewfinder and touchscreen, there are almost no alternatives to the EOS M5. 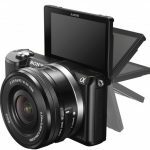 Only the Sony Alpha a6500 (Check Price on Amazon) can offer all this… Or the EOS M6 if you add an external viewfinder. Another choice would be to look at Panasonic’s and Olympus’ MFT cameras. Alternatives without a touchscreen are the bargain Sony a6000 (Price on Amazon)., Fujifilm X-TI or the XT-10. 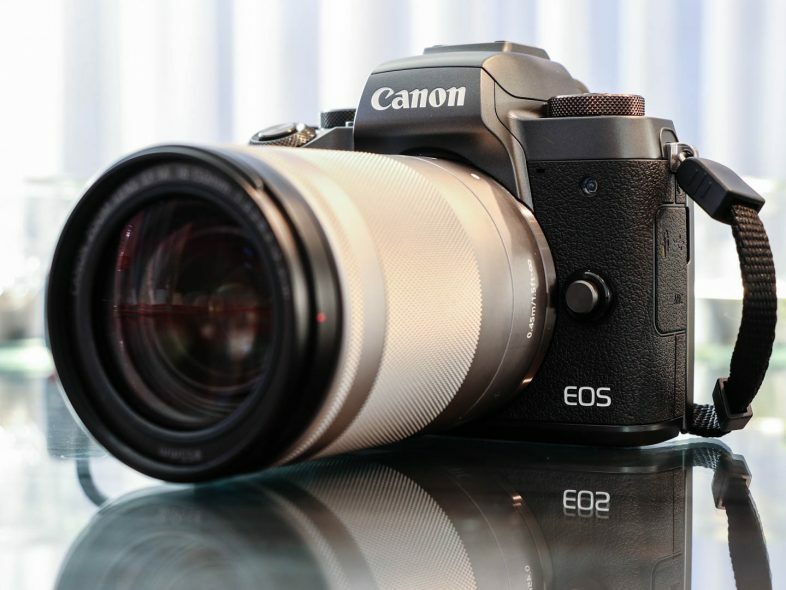 Canon is well aware of the fact that the choice of EOS-M (EF-M) lenses is limited to say the least. At the same time however, they are offering an immense selection of great lenses for their EF-Mount. Thanks to the genius EF-EOS M Mount Adaptor (Price on Amazon) you can merge both worlds. It can be mounted to any EOS-M camera and allows you to use any EF-(S)-lens with it. 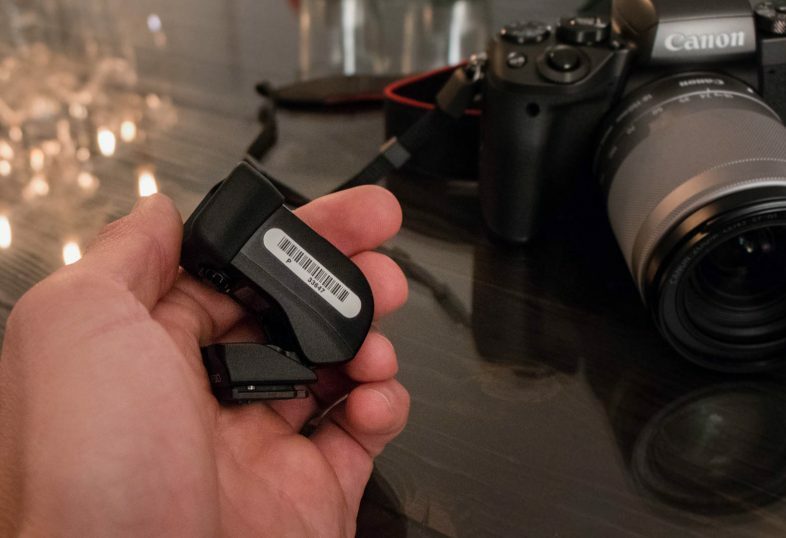 The adaptor maintains the data transmission between the camera and the lens and even allows the camera to autofocus them without any issues. Currently, the adaptor even comes in the box with the EOS M5. That’s what I call fair! 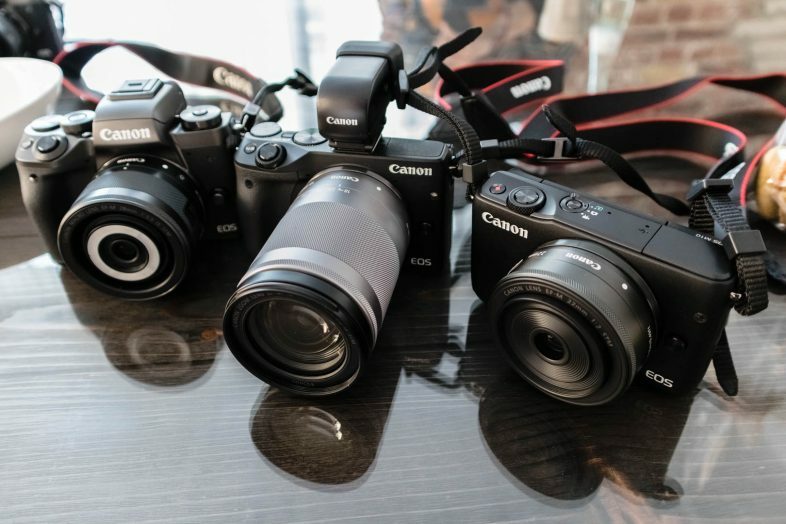 With their M5 and M6, Canon are finally offering a mirrorless camera that doesn’t have to hide behind the competition. For me, it is the most complete camera in the EOS-M product range. I would even prefer it to a bigger EOS like the 7D (Amazon) or 80D (Amazon). For me however, a camera doesn’t necessarily need to be all that wholesome. While a viewfinder is a nice extra I’ll have to admit that for the last 1.5 years I didn’t shoot more than 2% of my photos using one. That’s why I would rather go with the M6 (Amazon) . This camera is just as good as the M5 but lighter and smaller. 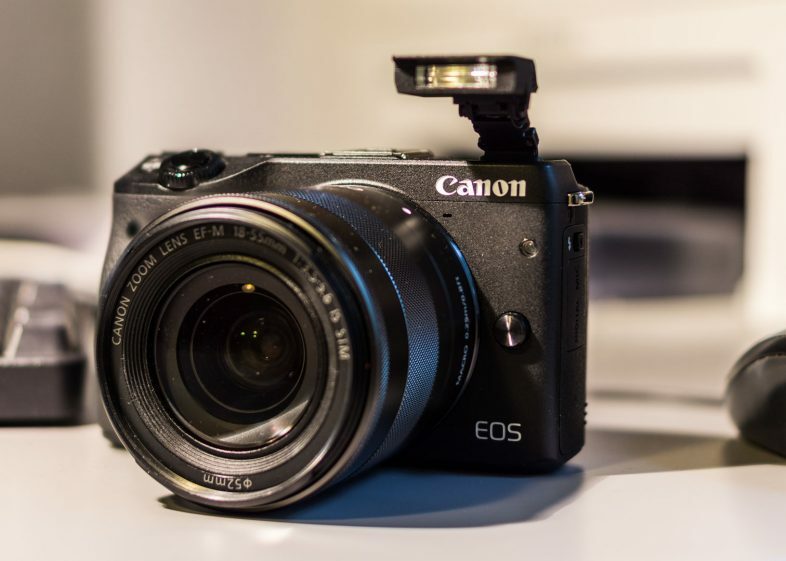 The EOS M3 is a great addition to your existing rig including a big EOS DSLR. With the mount adaptor, you’ll be able to use all the »bigger« EF-lenses without a problem. I see the M3 as a good backup or travel camera or as a decent entry-level shooter. I can only partially recommend the EOS M10. Canon has taken some red tape to their mirrorless line and removed pretty much all the useful features from the M10. If you know how to use it, you’ll be able to use it to its full potential. Its biggest advantage is its low weight and small size and and its unbeatable price. Next Nikon D5500 vs. D5600 vs. D7200 vs. D3400, what’s the difference? thank you for your thorough review. 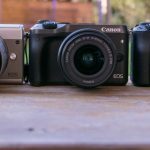 I was looking for a replacement for my eos M and I found your article very helpful.